I am loving my life right now. This is largely due to my friends, collaborators, and co-workers who are making everything around me so interesting right now. 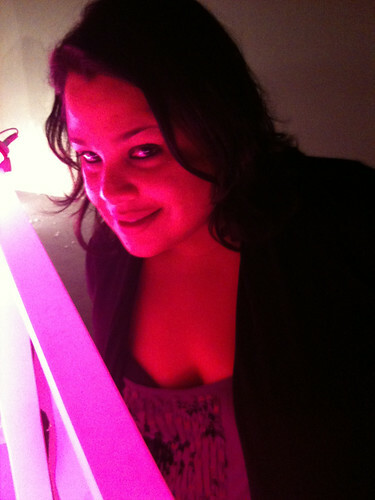 First up is my homegirl and collaborator Maya Escobar. Her intense video El es Frida Kahlo will be on view at the Bruno David Gallery in St. Louis, MO from 1/22-3/6. In conjunction with the exhibition, she has created an embeddable animated el es frida kahlo gif. As you know, I’m all about reclaiming the animated gif so I’m really excited to see Maya getting into this territory. Next up is my homegirl Carina. I can’t believe I’ve known her for almost a decade and it’s only in the last two months that we’ve started to collaborate and get things popping. Alongside Mariela, our collective The Bloody Swans has been slowly developing a tumblr site and a flickr page. It’s been great to collaborate with both of them as artists and our work together has opened up so many new possibilities. This past weekend we had a photo-editing party and in the midst of reviewing our images I got Carina to sing into my iPhone using a simple program called Ringtone Recorder Pro. The results are the following iPhone formatted ringtones of Carina covering the latest and greatest of the scene: David Garza – Disco Ball World, Girl in a Coma – El Monte, and Major Lazer – Keep it Goin’ Louder. I was just floored when I saw the latest work by my good friend Melanie Cervantes. As an artist, I aspire to her ability to create simple masterpieces. When she posted the above portrait of Julieta Venegas to facebook it was just love at first sight for me. 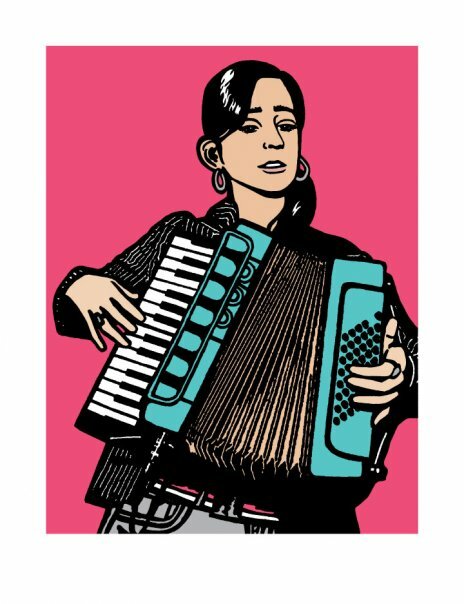 Her caption to the piece is “La Julie” (Julieta Venegas)”5-color screen print, in production, 2010 and she later commented that, This is a portrait of songstress extraordinaire Julieta Venegas. She grew up in Tijuana and started out as pure rockera. Now she does more pop. I love, love, love her. Best believe I’ll be spreading the word once this print is made available. Lastly, things are getting really interesting at work. 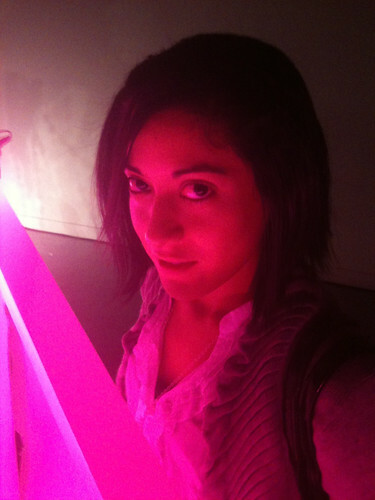 SomArts has plenty of opportunities for artists to exhibit, curate, and perform at the moment. We have our Commons Fund & Curatorial Residency program accepting applications and new Gallery Director Justin Hoover’s 100 Performances for the Hole – Take Two. The latter is a marathon night of 100 short performances taking place in our newly excavated mechanic’s pit and is also accepting submissions. Our next exhibit is Prints Byte: the cutting edge of printmaking and the Great Tortilla Conspiracy will be serving up tortilla art at the opening reception on Friday, February 5th from 7:00PM to 9:00PM. So far, 2010 is looking up. I like the Bloody Swans collaboration. It looks like so much fun. Also, when that JV print becomes available, I’m definitely getting in line. I love that she’s posed with the accordeon.